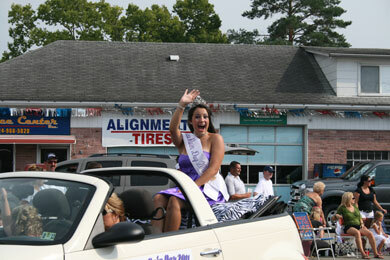 Joanna Allen, Miss Rain Day 2011 held a car wash at Advanced Auto Parts on Friday, July 6th to raise money for the Greene County Humane Society. 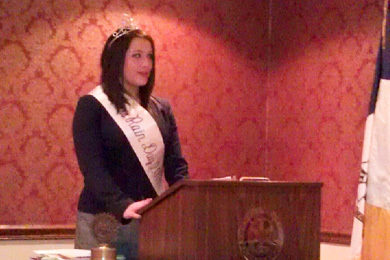 The Humane Society was Joanna’s Community Service Project. On Saturday July 7th Joanna and several of the contestants visited the Humane Society to present their donation to Jane Gapen, Executive Director and to spend some quality time with the animals all waiting for adoption. It is puppy and kitten season at the shelter and they are in need of foster homes for animals; if you can help please call them directly at 724.627.9988 or visit www.greenepet.org for more information. 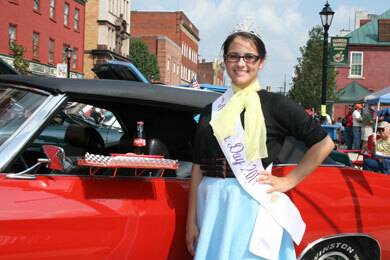 Joanna - Miss Rain Day 2011 lends a hand at the Waynesburg Prosperous & Beautiful Summer Open House held Friday evening, June 8, 2012 in downtown Waynesburg! 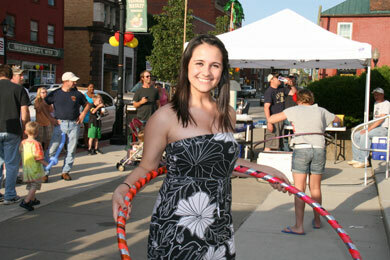 Joanna participates in the Hoola Hoop Contest held in front of the courthouse during the Summer Open House! 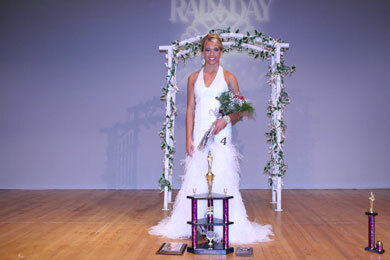 Joanna Allen - Miss Rain Day 2011 mails the 2012 Miss Rain Day Pageant applications - look for your today or download from this site! 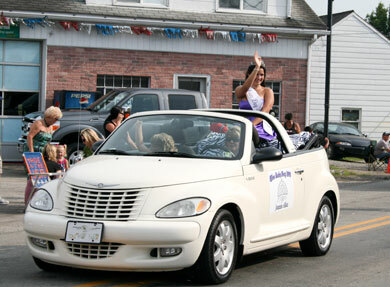 The date of the 2012 Miss Rain Day Pageant is Sunday, July 22nd at 4:00 PM, WCHS. 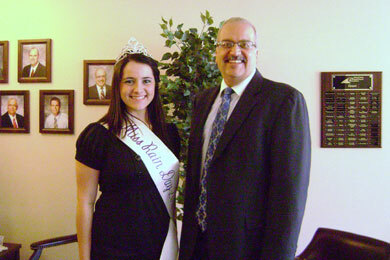 Miss Rain Day 2012 - Joanna Allen attended the Waynesburg Area Chamber of Commerce Business After Hours on Thursday, March 29, 2012 at the newly remodeled offices of the Greene County Memorial Hospital Foundation. 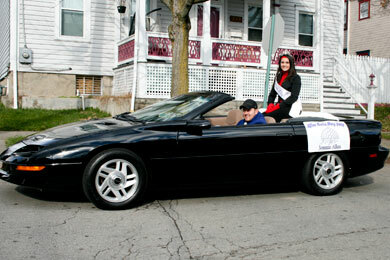 Joanna is pictured with Dave Jones, Executive Director of GCMHF and Alan Laick - Laick Design. 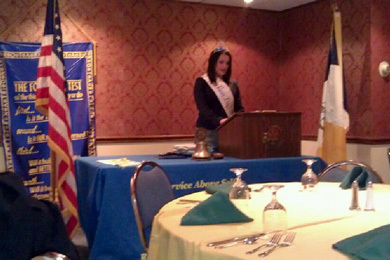 Miss Rain Day - Joanna Allen is the guest speaker at Waynesburg Rotary Club Luncheon on Monday, March 5, 2012. Joanna among many familiar faces! 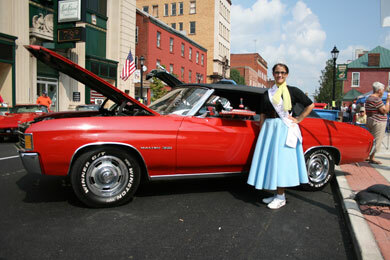 Miss Rain Day - Joann Allen participates in the 10th Annual 50's Fest & Car Cruise in downtown Waynesburg sponsored by Waynesburg Prosperous & Beautiful on Saturday, September 10, 2011. 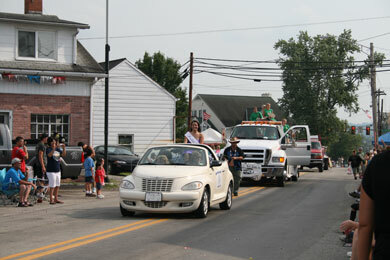 On Saturday, August 27th, 2011, Miss Rain Day Joanna Allen was a participant in the King Coal Show Parade in Carmichaels. 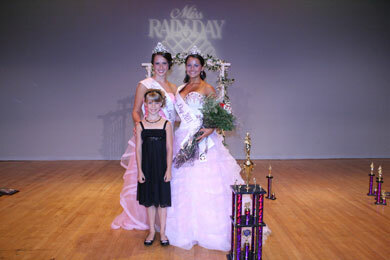 On Thursday, July 28th Joanna Allen, Miss Rain Day 2011 crowned Senior Miss Rain Day at Golden Living Retirement Home. 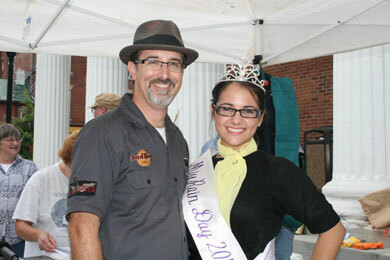 The Rain Day Girls along with Kelcee Headlee, Miss Rain Day 2010 assisted with the Rain Day Races to benefit Greene County Habit for Humanity. Despite a torrential downpour Saturday morning which delayed the start of the 33rd annual Rain Day Race by more than a half-hour, it did not seem to dampen their spirits or the racers! To view more photos from the Rain Day Race please click here. 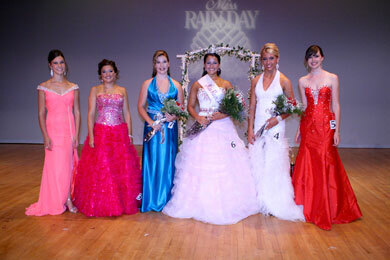 Seven young women from throughout Greene County gathered recently at the Glass Room in the Benedum Hall on the Waynesburg University campus to officially kick off their quest for the Miss Rain Day title. 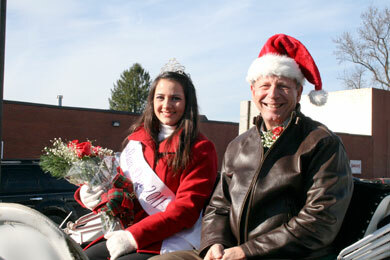 The young ladies and their guests were treated to a dinner, courtesy of McCracken's Pharmacy. 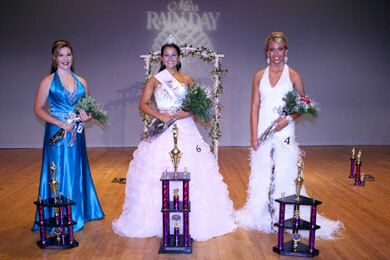 Distinguished guests for the evening were Miss Kelcee Headlee, 2010 Miss Rain Day, Miss Taylor Shriver, 2011 Crown Bearer, and Ms. Ronnie Weaver, Pageant Stylist and Image Consultant. 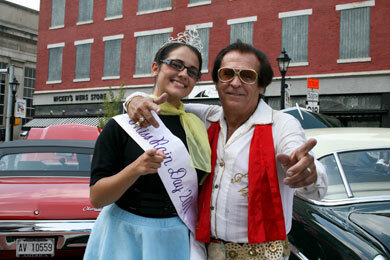 Gift bags for the contestants were provided by Deb Bristor and Erica Bristor, Miss Rain Day 2007. 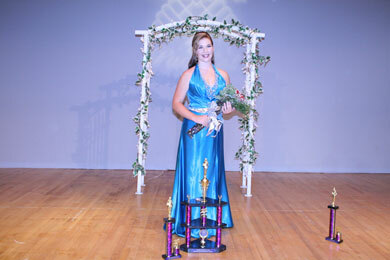 The 33rd annual Miss Rain Day Scholarship Pageant, sponsored by Rain Day Scholarship, Inc, will be held Sunday, July 24, at 4:00 p.m. in the Waynesburg Central High School auditorium. 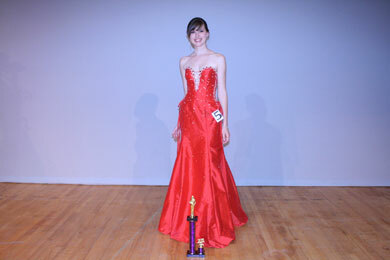 The contestants will be judged on the basis of personal interview, sportswear, talent, and evening gown competitions. 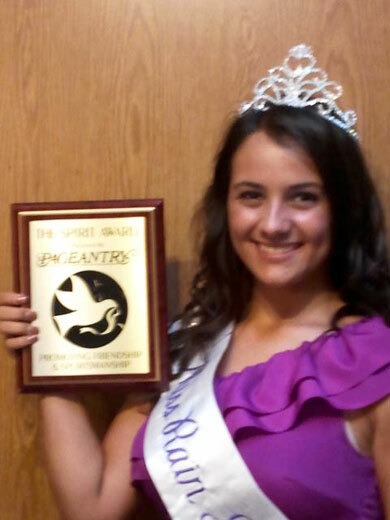 Awards will be presented to those with top scores in these areas as well as Miss Personality, Miss Photogenic, the Kelly Smotzer Memorial Award, and The Remo C. Bertugli Memorial Award. Participation awards will be given to all contestants. A Rain Maker Award will be presented to the contestant who collects the most scholarships, and the John O'Hara Award will be given to the contestant who composes the best essay on what Rain Day means to them. In the next few weeks, the contestants will have their portrait taken courtesy of Bruno and Bruno photography, hold interviews with WANB Radio and "Crazy Dougie Wilson". They will attend special dinner and performance of "Cats" in Morgantown, WV, and transportation provided by Lewis Limousine. 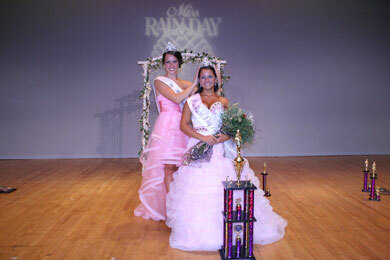 After the pageant, Miss Rain Day 2011, her court and the contestants will participate in the Rain Day Festival on July 29th, and the winners will perform for the festival goers. 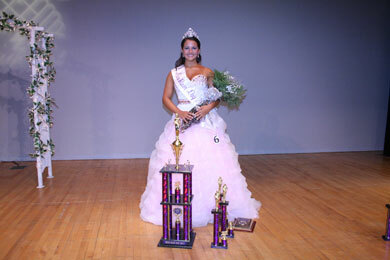 Miss Rain Day 2010 Kelcee Headlee, the 17-year old daughter of Amy and Derek Broadwater of Waynesburg is guiding the 2011 contestants through their quest for the title and will relinquish the crown to one of this year's contestant.